We are a small village church where every person is welcomed and embraced as part of the Dixboro Church family. We believe ALL ... SEE MORE. Join us this Sunday as Rev. Tonya gives a sermon titled, "Giving up Popularity". It is the sixth sermon in our Lenten Sermon Series, "Giving It Up for Lent". We hope to see you Sunday! Make sure you have signed up to help with the Easter EGGstravaganza (bake sale, set up, tear down, activities, etc. ), the Easter Morning Breakfast, or any of the other activities we have during Holy Week. 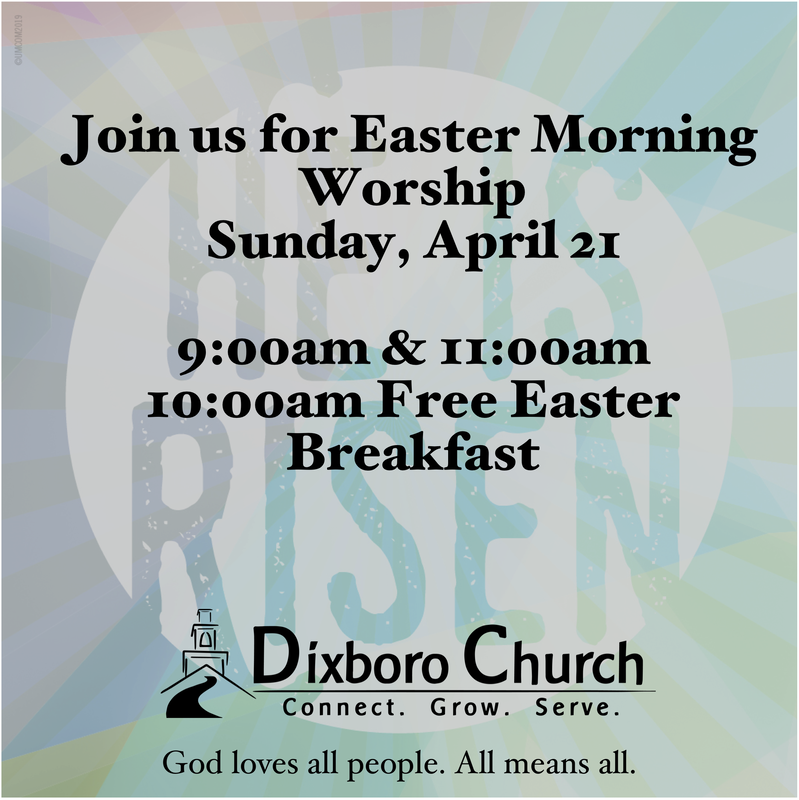 ​There are a lot of things happening here at Dixboro Church. Please review the "Looking Ahead" area for ways you can participate in the life of Dixboro Church. ​Click the link below to view the Service and Announcements.